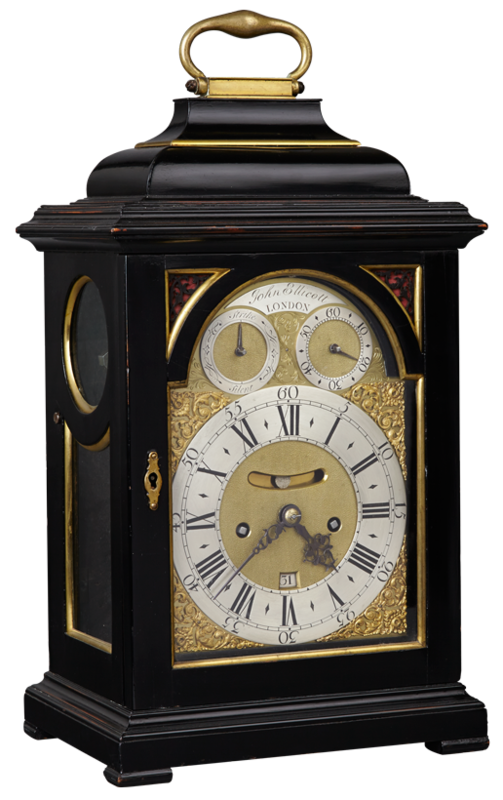 A fine ebony and gilt mounted mid 18th century Georgew II bracket clock by this eminent clockmaker and clockmaker to the King. 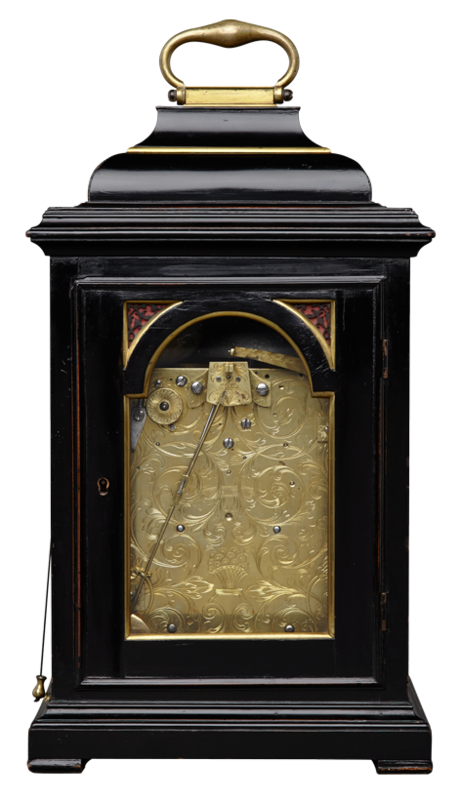 The movement with verge escapement and pull quarter repeat on 6 bells and rise/fall regulation, the dial with makers signature between two subsidiary dials for strike/silent and regulation, the well matted centre with false pendulum and calendar apertures. 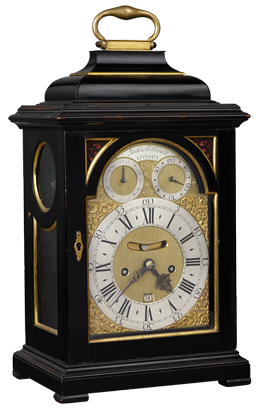 The small case with brass mouldings to the doors, frets and side windows, the brass mounted top surmounted with a gilt brass carrying handle. 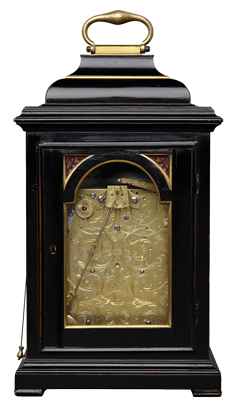 The clock also with an engraved backplate and good original hands.